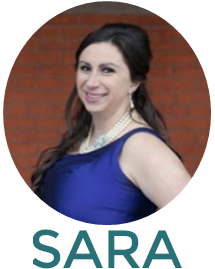 A Bedazzled [kind of] Life: 44a. Wanna get an engagement ring? There's an app for that. 44a. Wanna get an engagement ring? There's an app for that. I'm never amazed anymore...well really, I was just waiting for this to come. Ladies, sick of your man dragging his heels on that rock you've always wanted? 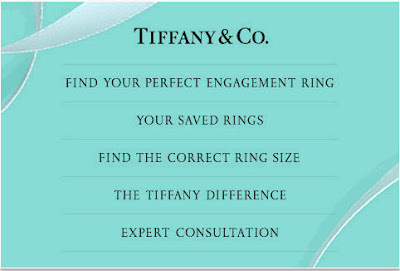 There's an app for that...well at least to help you or significant other pick the ring of your dreams. Let's pause for a second and live in a world where we can all afford a Tiffany & Co. engagement ring and indulge ourselves. iTunes has the Tiffany & Co. Engagement Ring app. Check it out here. Recently turned onto this app (thank you Lauren) I was amazed and instantly jealous about not having access to this app via my BlackBerry. 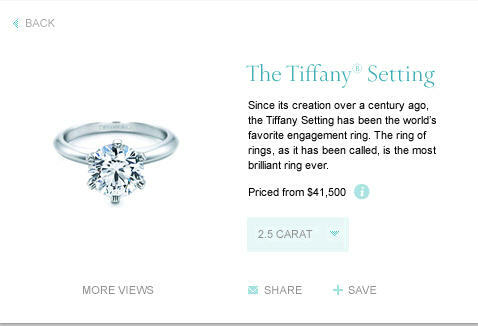 The description reads: Find your perfect engagement ring with Tiffany & Co.’s Engagement Ring Finder. 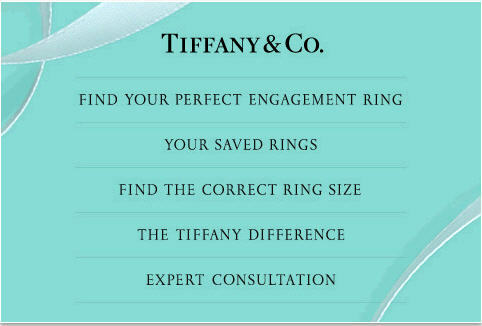 Browse styles, view actual carat weights, determine your ring size and learn why a Tiffany engagement ring is the best there is. On their official Facebook page, you view photos, join a discussion and watch videos. They also link to their YouTube page...where you can watch a demo of the iPhone app. The demo walks you through how to use the app and most importantly...how to share it via email, Facebook or Twitter. 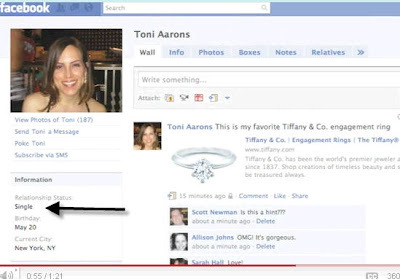 But hey Tiffany's (again, thanks Lauren for pointing this out) maybe change the relationship status on the Facebook page of the girl "posting" this share from "single" to "in a relationship"...just a thought.